The Chaplaincy is open to students and staff throughout the College day. It is a space where students can relax and hang-out in, a place to talk to friends, play cards, board games and forget about the stresses of College life. Everyone is welcome to use the Chaplaincy and enjoy the calm and welcoming atmosphere that it provides. Students are asked to help keep the space clean, calm and stress-free! 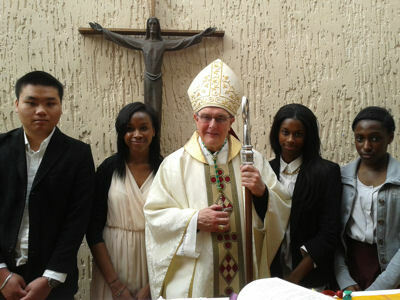 The chaplaincy strives to witness to the fact that “the person and teaching of Christ” is at the centre of college life, in keeping with the college’s mission statement.In living this out, the chaplaincy serves and supports the whole college community, regardless of individual’s faith background. Heather Jamieson is the full-time Chaplain at St Charles. She is available to talk to anyone who needs an open ear; whether students have concerns about college, their home life, social life or spiritual life! Heather’s office can be found in the Chaplaincy and she is always available for students and staff who need somebody to talk to. Prayer is at the heart of life in the Chaplaincy and there is the opportunity for students and staff of all faiths to pray together in college each day.Morning Prayer takes place every day at 8.40am in the Chapel. This normally lasts around ten minutes and consists of reflection, scripture readings and silence. Mass is celebrated in the Chapel every Friday at 1.20pm. Larger celebrations and feast-days are celebrated throughout the academic year and always attract lots of student involvement. Throughout the year, weekend retreats are organised to Kintbury. Meditations take place in the chapel during Advent and Lent. There is also the opportunity for students to go on pilgrimage to Lourdes, volunteering to help the sick and the elderly.Every year there is also a staff retreat which is held during the summer term. There is the opportunity for students to receive the sacrament of Confirmation in college. Preparation for this begins in the spring term and is done with St. Dominic’s Sixth Form College. The Chaplaincy offers a wide choice of enrichment activities allowing students to support both local, national and international communities, as well as the opportunity to develop skills and UCAS personal statements! Tutor Reps are students who would like to develop their leadership skills and take an active role in organising activities in tutorials, as well as helping their tutor with some of their workload.Tutor Reps meet on a Monday lunchtime and Ian provides leadership training along with activities and suggestions for things to do in tutor time. 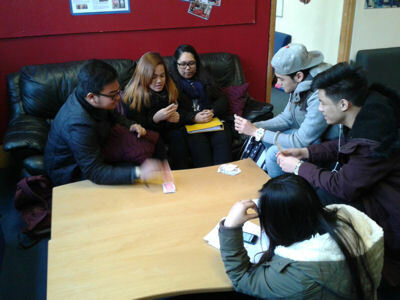 The Chaplaincy Committee consists of both students and staff and meets roughly every four to six weeks during lunchtimes to talk about Chaplaincy related issues in College. Throughout the year there are many ways in which the college helps to fund raise for charities. In Advent, students and staff prepare Hampers for the Catholic Children’s Society. During Lent, Charities Week takes place. This is a week of focused fundraising and includes a College quiz, talent show, raffle and much more! 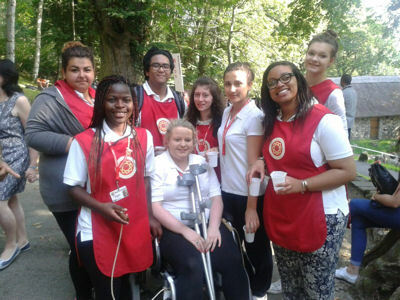 Every year, the Chaplaincy organises a pilgrimage to Lourdes in France. Since the apparitions of the Virgin Mary to Bernadette Soubirous in 1858, millions of sick people have visited Lourdes to pray. Students go to Lourdes as pilgrims, working as Red Caps, where they have responsibility to help older, more frail pilgrims, and assisting at the services and events that take place there.It is a fantastic opportunity meet people from all around the world, to help those in need and to find space to reflect on your own life.